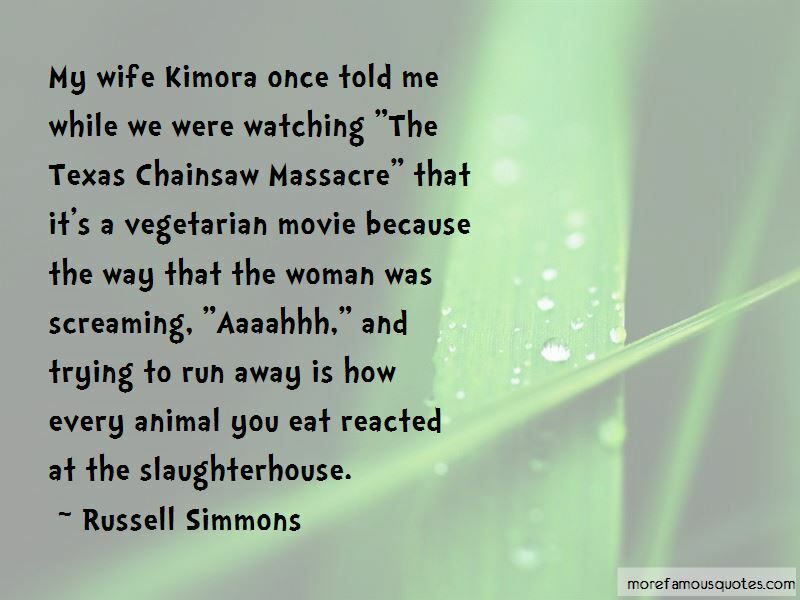 Enjoy reading and share 6 famous quotes about Animal Slaughterhouse with everyone. 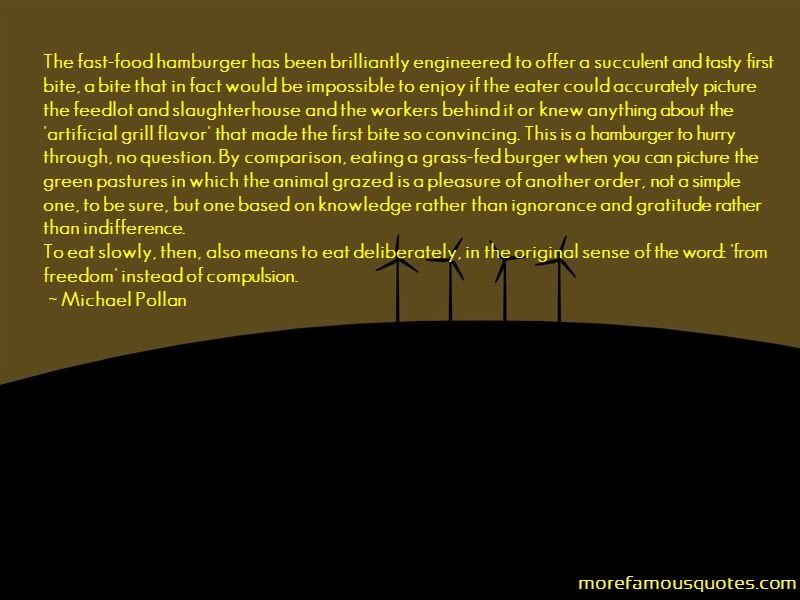 “The fast-food hamburger has been brilliantly engineered to offer a succulent and tasty first bite, a bite that in fact would be impossible to enjoy if the eater could accurately picture the feedlot and slaughterhouse and the workers behind it or knew anything about the 'artificial grill flavor' that made the first bite so convincing. This is a hamburger to hurry through, no question. By comparison, eating a grass-fed burger when you can picture the green pastures in which the animal grazed is a pleasure of another order, not a simple one, to be sure, but one based on knowledge rather than ignorance and gratitude rather than indifference. 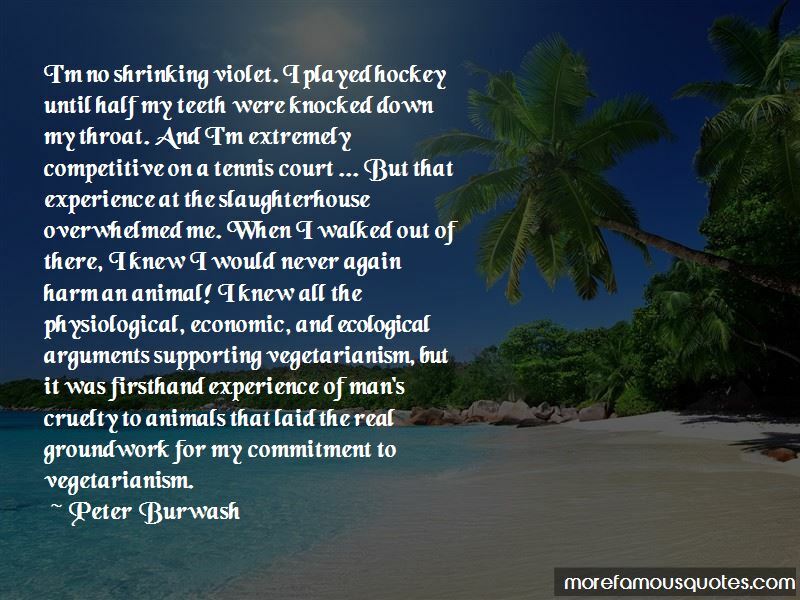 Want to see more pictures of Animal Slaughterhouse quotes? 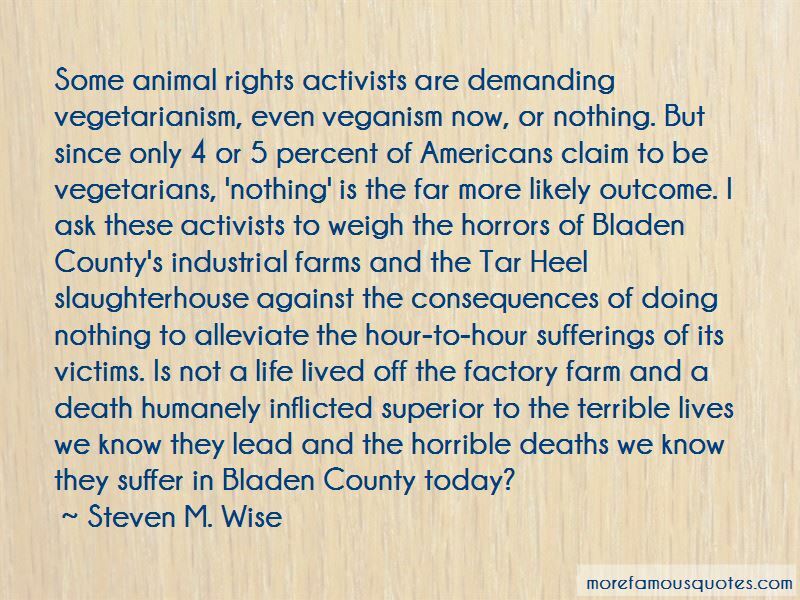 Click on image of Animal Slaughterhouse quotes to view full size.